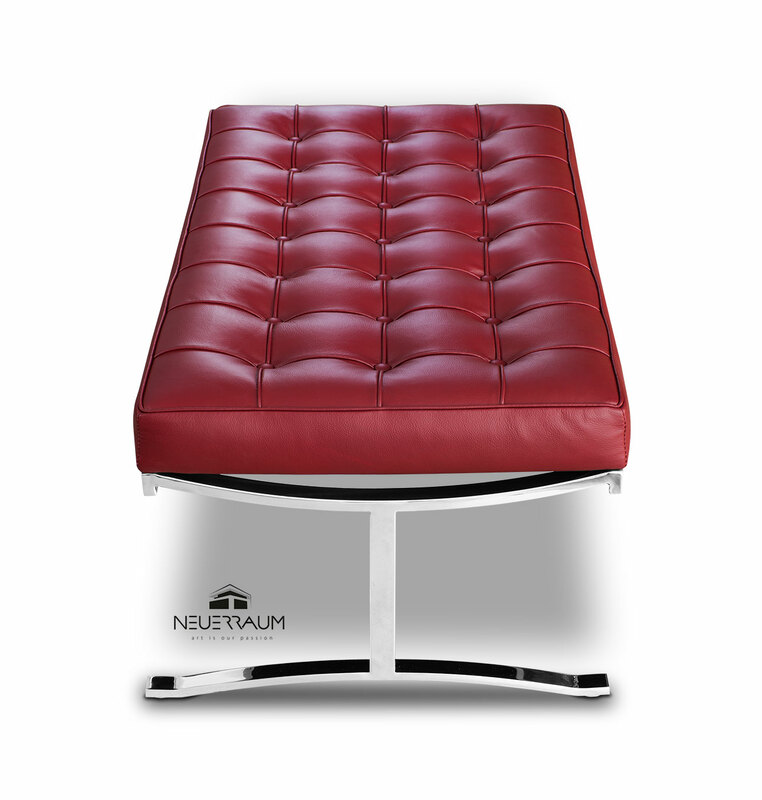 Main page » Leather & Steel Benches » Bauhaus seating bench with polished steel legs and real italian wine red leather, Handmade! High quality seating bench made with soft italian leather. 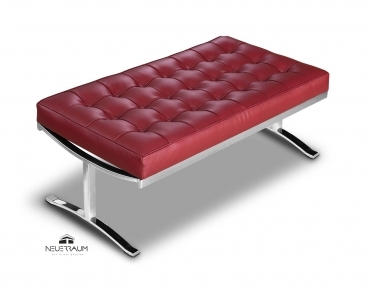 Solid steel frame glossy polished. We offer this Model with 100 or 160 cm length.